The Olay Total Effects 7 In One Anti-Ageing Day Cream Normal SPF 15 is a daily facial moisturiser that provides 7 anti ageing benefits in 1, plus SPF 15 to help protect against sun exposure. Total Effects is the result of years of state-of-the-art anti-ageing research. It is an answer to the needs of all skin types. Fortified with SPF 15 that prevents your skin from the harmful ageing effects of UVA and UVB rays. 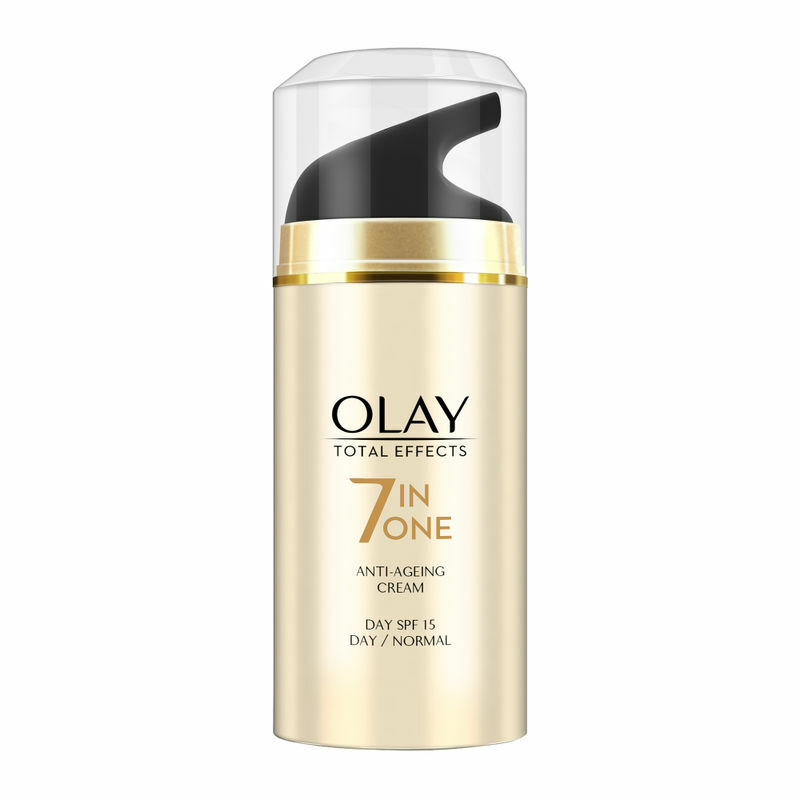 Olay Total Effects provides a breadth of benefits to deliver the beautiful younger looking skin women want and the healthy skin they need. The key to this is a combination of two ingredients VitaNiacin and Anti-Oxidants, which together work to fight 7 signs of ageing and give younger looking skin.